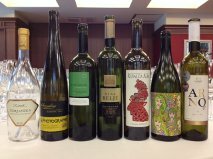 As you may know, I spent a fantastic four days last week helping judge at the Balkans International Wine Competition (http://www.balkanswine.eu/). 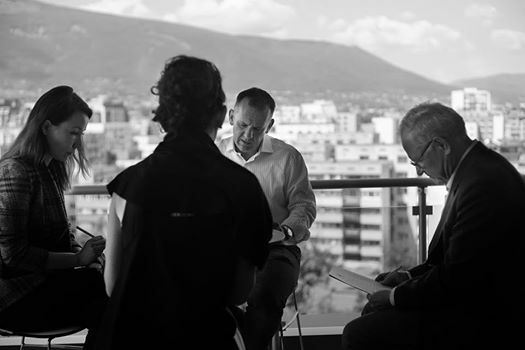 It was a privilege to be invited to Sofia in Bulgaria, a charming city and country that I have never visited before. Lovely people! To be honest I did not really know what to expect in the wines, and my anticipation of groundbreaking quality was not that high. With the exception of Greek wines (of which I am a huge fan, having visited last year) my dealings with wine from the Balkans is largely based in Bulgarian wines from the late eighties that were part of my wine baptism when I started in Oddbins in London. In no small way were names such as Oriachovitza Cabernet Sauvignon, Khan Krum Chardonnay and Plovdiv Merlot part of the reason I got into wine in the first place. But I suspect the reason was more value than sheer quality. The advent of New World wines, with their sunny labels full of easy-to-pronounce and understand English words, backed by a healthy amount of marketing money, put paid to the Bulgarian revolution in the UK, and so my familiarity with the wines started to wane. Other than a few examples (largely when studying or on holiday), I hadn’t really tried any wines from Bulgaria, Serbia, Macedonia (the Republic), Romania, Slovenia or Turkey since. But what I discovered last week was a revelation. Many of the wines were from vineyards, wineries and companies established well after the fall of communism which, however much I might not want to admit it to myself, was really quite a long time ago now! Even though these were obviously the best examples submitted for a competition by the most progressive wineries, there was obvious talent and investment throughout all the wines. Local grape varieties, international grape varieties, mixtures, judicious use of oak, intense clean and modern winemaking mixed with areas of character and tradition, everything was on show, and some of the wines were nothing less than fabulous. We awarded forty two Gold Medals in total, a very high success rate (from 400-odd submissions), but each was well deserved. Now that many consumers in many export markets have become a little bored with the homogeneity of – certainly inexpensive – New World wines with their dollops of sugar and oak-overkill, I really feel that there is a great opportunity for wines from countries with slightly exotic names, and the thousands of years of tradition that can never be manufactured, alongside varieties only they have. Coupled with more restrained European winemaking (on the whole), a lower carbon footprint from shipping, and still great value on offer, these are wines to be explored. I wish more of them were available in France, and if I can change it – I will! 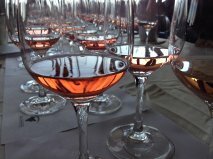 I’ll outline a few specific star wines and wineries in my next few blog posts – I have plenty of notes! One thing about the trip – I discovered – was the vagaries of trying to make the ménage-à-trois of ipads, photo resizing and hotel wifi work together.